Game of thrones series has been one of the most gripping serials of all times. It has had people of all ages glued to their TV screens all through the season, and it has also been one of those miniseries about which maximum blogging and online discussions have taken place. One magazine reportedly had to convince its readers that the characters from HBO’s Game of Thrones are actually actors. These actors are today recognized as the character that they play in Game of Thrones, but in reality there is every possibility that you might have already seen them on TV in another serial or even in the movie. Everyone must have seen all the Harry Potter movies. Those who were able to look beyond Daniel Radcliffe would have noticed that the lady who played the role of Hermione Granger’s mother was none other than Catelyn Stark. The actress Michelle Fairley who has shined in her performance as Catelyn as she played a very serious role assigned to her. Of course, the role that she played in Harry Potter was very small but she has played other roles as well. I don’t know if anyone remembers Fred Flintstone from The Flintstones. This legendary character has been one of the best roles played by the same actor who has played the role of King Robert in the Game of Thrones. Mark Addy has not just played the part of Fred Flintstone but also played the character of David in The Full Monty in the year 1997. His comedy timing has always been appreciated but as King Robert Baratheon he has show that he can play complex and serious characters as well. 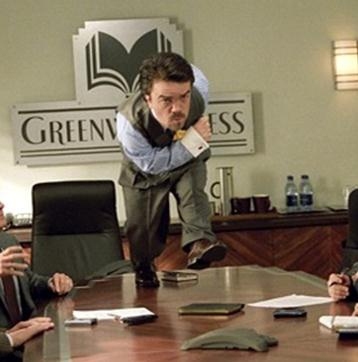 Peter Dinklage might have been remembered for the role that he has played in the series Nip/Tuck. He was a part of the series from the 2011 to 2013 as played the role of Marlowe Sawyer. Of course, he has gained wider recognition as TyrionLannister. Playing the role of CerseiLannister is not the first difficult role that Lena Headley has played and without a doubt she has done full justice to requirements of her character. Maybe she was able to take some learning from the role of Queen Gorgo that she had played in the movie 300 in the year 2006. That was another complex role and somewhat similar in nature to what she has to do on Game of Thrones. Both are period themes, and she has lived the role in both of them. In 2010, the movie Triassic Attack was released in which Emilia Clark played the role of Savannah. She has transformed her appearance for her role as DaenerysTargaryen, but rest assured ladies and gentleman this is the same person. Maybe with the tiny dragon on her shoulder you had some difficulty in recognizing her. Dr Isaacs from the Resident Evil series that ran from 2002 through 2007 is hard to forget partly because of the clean-shaven look that he maintained and which made many women go complete gaga. 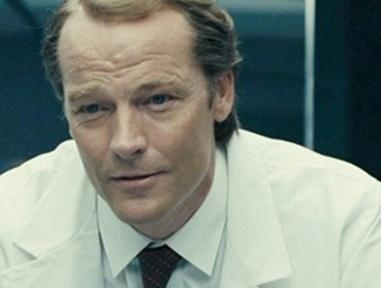 Iain Glen won hearts then, and he again won hearts when he played the role of JorahMormont in Game of Thrones. Although to play this role he had to work a lot on his physique, he still carried off his rugged look as well as he had his clean-shaven one. The actor who played the character of Jon Snow is Kit Harrington, who also played the role of Vincent in Silent Hills in the year 2012. Another actor from this series who has played a part in a period movie before is Alfie Allen. Apart from playing the role of TheonGreyjoy in Game of Thrones he played the part of King’s messenger in the 2008 movie The Other Boleyn Girl. Although this was a relatively small role, he must have been able to learn from it for sure. Jack Gleeson, of course, has been seen on screen questioning Batman and confirming whether he is really Batman. If you don’t remember this then you should watch Batman Begins again which was released in 2005. The little boy who said “the other kids won’t believe me” is the same little boy who plays the role of JoffreyBaratheon. Richard Madden playing the role of Robb Stark has also played the role of Ripley in the 2009 movie Chatroom. It is a far cry from the suit clad young man that you see in the movie, but Madden has managed to carry off his role in Game of Thrones very well. Isaac Wright, who plays Bran Stark, has also been seen in The Awakening that was released in 2011 as Tom Hill. One of the actors who would be difficult to place would be undoubtedly Rory McCann. This actor who plays the role of Sandor ‘The Hound’ Clegane was also seen in the 2007 movie Hot Fuzz where he played the part of the character called Michael Armstrong. He has also been seen in the Scott’s Poradge Oats Commercial as he dances away with his co-star. In Hot Fuzz, he has maintained a bald look, which is very different from the long manned look he has in Game of Thrones and which really looks good on him. 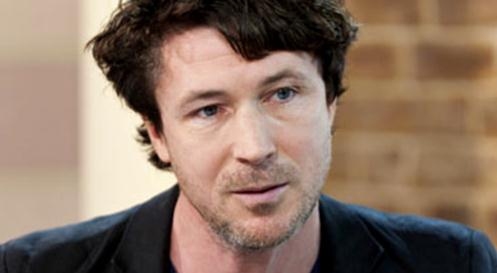 Aidan Gillen, who plays Peter Baelish in Game of Thrones, played the role of the devilish Lord Rathbone in Shanghai Knights where he battled with Jackie Chan and, predictably, lost. Conleth Hill, who played Varys, has also played the role of Max Staefel in Goodbye Mr Chips. Charles Dance, who plays TywinLannister has done a wonderful job in Ali G Indahouse as David Carlton. You might have seen Jason Mamoa, who plays KhalDrogo, on Baywatch Hawaii where he plays the role of Jason Ioane. It is very exciting to see your favorite characters play other roles. So now that you know where you can find your favorite Game of Thrones actors, go ahead and have fun! Server responsed at: 04/21/2019 10:50 a.m.